In Western Australia, the company made preparations against the impending Cyclone Veronica, which weakened from category three to category two as it passed down the northwest coast between Karratha and Port Hedland. 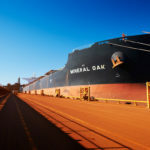 Rio Tinto also halted its rail operations and mining at the Robe Valley iron ore project in the Pilbara, while also clearing its vessels from its shipping ports Cape Lambert and Dampier. A spokesperson yesterday said the company’s Pilbara operations were returning to normal as Cyclone Veronica eased. “With weather clearing, staff will gradually start returning to affected port and rail sites today with normal operations to resume once it is safe to do so. Mining at the Robe Valley operations is also resuming,” the spokesperson said. Other companies with mines in the Pilbara joined Rio Tinto by providing updates on the safe operation of their sites. Pilbara Minerals, for example, confirmed that its Pilgangoora lithium-tantalum operations in the northern Pilbara had not been affected by Veronica, with assessors reporting “minimal damage” to the site. 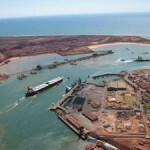 However, the company did state that the Pilbara Ports Authority was continuing to suspend ship-loading activities at Port Hedland harbour, which could result in delays. “Mining and processing operations have now resumed with minimal impact of approximately 72 hours’ disruption to site-based production activities arising from the cyclone,” the company announced yesterday. Fortescue Metals Group also announced this morning that it was resuming its shipping operations at Port Hedland, which had been suspended since March 22 due to Cyclone Veronica. The company also stated it expected to resume its rail operations in the region today, which were suspended on March 23 due to localised flooding. In eastern Australia, Rio Tinto temporarily put a halt to work at the Weipa bauxite operations in Far North Queensland as a safety measure against Cyclone Trevor. 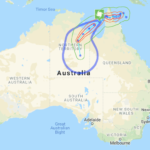 The cyclone made landfall as a category four cyclone at the southern coast of the Gulf of Carpentaria — near the border between the Northern Territory and Queensland — on the morning of March 23. 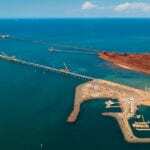 Rio Tinto temporarily halted work at it Weipa bauxite operations in Far North Queensland as a safety measure against Cyclone Trevor, which made landfall as a category four cyclone at the southern coast of the Gulf of Carpentaria on the morning of March 23. A Rio Tinto spokesperson said no employees or contractors were injured as a result of Cyclone Trevor, which resulted in large-scale, temporary evacuations in the towns of Borroloola, Groote Eylandt and Numbulwar. While Veronica and Trevor have now been downgraded to tropical lows, the storms have brought flooding risks. The Pilbara received the equivalent of one year’s rainfall in less than a day, with floods caused by Veronica leading to rescues in the town of Boodarie near Port Hedland. The Department of Fire and Emergency Services (DFES) Western Australia announced yesterday that many roads in the Pilbara were “impassable and remain closed” due to flooding. “Floodwaters can be deceptive, hiding fast moving currents and deadly debris under a still looking surface. More people die in floods than in bushfires. If it’s flooded, forget it,” the DFES WA reported on Facebook. Pilbara Minerals stated that flood impacts arising from Cyclone Veronica would temporarily affect road access to Pilgangoora. “High river flows on the Turner river arising from regional rainfall during the cyclone have impacted through traffic on the Pilgangoora site’s Wodgina East access road,” the company said. Queensland and New South Wales are also expected to be affected by rains and flooding caused by Cyclone Trevor. The Queensland Fire and Emergency Services (QFES) issued a severe weather warning yesterday for southwest Queensland.